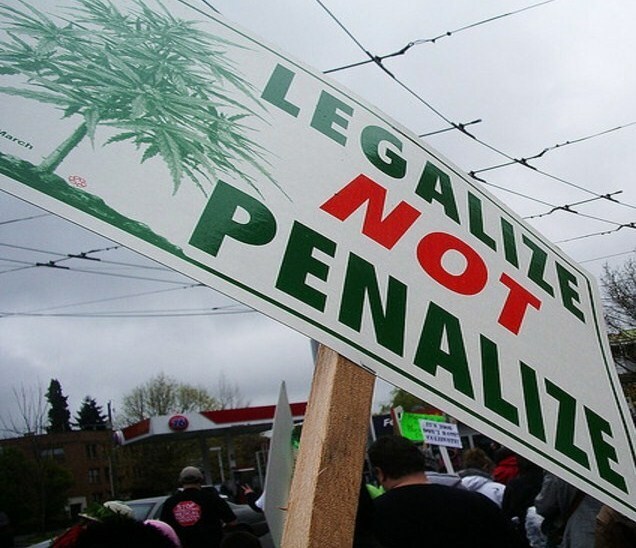 Blog > Cannabis Education > Marijuana Laws > How’s the First Month of New Cannabis Legalization Going, California? How’s the First Month of New Cannabis Legalization Going, California? It’s been a month since the first legal joint was sold by Berkeley Patients Group in Northern California–actually, it was three joints for $45.37. If that purchase doesn’t demonstrate why so many consumers are mad, nothing will. Cannabis prices have skyrocketed since January first, largely due to steep tax rates and distributor markups. It’s possible these prices could go even higher. So, after all the blood, sweat and tears it took to get here, was it worth it? In this series, we’ll explore public opinion as we examine and untangle the fine web of our new cannabis regulations. Good or bad, the new laws are here to stay and opinions are definitely mixed. 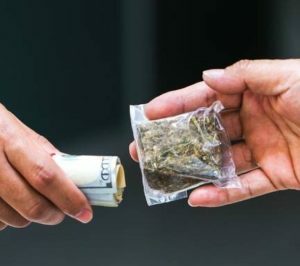 Will the Black Market Boom? Can Rescheduling or Descheduling Solve Over-Regulation? Are We Repeating Other States’ Mistakes? David McCollester, a property developer in Lake County, believes greed is a main driver behind the forces that control our markets. We’re seeing the results of this greed right now. Butte County activist Jeff Pflueger agrees. The state’s recent decision to allow grows larger than one acre particularly concerns medium and small growers. Prop 64 restricts the size of grows, limiting cultivation licenses to one acre to increase variety and market competition. Removing these caps has sparked vociferous protests from both legislators and trade groups in the North. In other words, if they can’t compete on the legal market, they’ll do it on the black one. Andrews believes the new rules are setting up a huge black market boom. There’s no question the black market still thrives in other legal states where excessive regulations create price surges. Southern Nevada activist Ray Adams says Nevada legalization has severe black market issues. But Adams isn’t bitter. He believes the situation will eventually sort itself out. Nevada’s not the only state faced with black market woes. As Southern California activist Donna Lambert points out, Colorado has so many problems with illegal sales that it recently proposed a bill to add chemical tracking agents to cannabis products. Don’t worry, the chemical agent isn’t here; but when it is, the state will grant the licensing rights to a sole vendor. Monopolies are always a great idea, right? Los Angeles activist Patrick Moore acknowledges past criminal convictions are being erased using Prop 64 (AUMA) provisions. Nevertheless, he worries both AUMA and state regulatory schemes contain too many new criminal penalties that’ll catch more victims in their nets. Yet Wesley A. Bridle, Economics major at UCLA, likes the criminal penalty changes. He points out that former felony offenses are now misdemeanors, and therefore don’t void the vote of the person charged. California veteran and patient Albert Vigil agrees, concerned over the remaining criminal penalties. Patient Ken Banham worries about overzealous law enforcement cracking down on drivers as well. There may not be much time to complain about the new regulations if the federal government decides to de-schedule or reschedule. It looks as if Jeff Sessions may force Congress to address cannabis’ status under the Controlled Substances Act. Fontana activist and lawsuit plaintiff Mike Harris reminds us about Sessions’ statement that Congress should change cannabis laws if they don’t want to enforce them. California may have been the first state to legalize medical cannabis, but it missed being the first to legalize recreational by a wide margin. Some activists from other legal rec states are witnessing the fallout of our new regulations and worrying we aren’t learning from their states’ mistakes. Will California see cases like Pedersen’s before the end of the year? It’s very likely. Mr. Pedersen may be right about continuing access problems as well. As it turns out, there’ll be new gaps in access, as some of former patient mainstays have switched over to recreational-only. This leaves former customers to find new sources for their medicine. Chandra Batra, a long-time cannabis activist from Massachusetts, isn’t happy. A statement from Harborside’s FAQ page confirms that they don’t have a license to sell medical cannabis. Since they don’t, those under 21 who once turned to them for help must now find other means of MMJ support. To be fair, all businesses are facing difficult expense decisions as they pursue state licensing. Retailers who wish to supply both medical and adult-use cannabis need to seek separate licenses for each business category. Even after hearing many complaints about the new law, Bridle remains certain things are a lot better than pre-legalization. At the end of the day, he has a point. 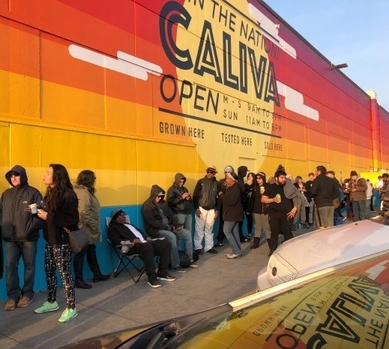 It’s safe to say there’s no shortage of legal cannabis consumers in California. In fact, stores are struggling to keep up with demand. But tea also had a pretty good market this side of the pond before the British Tea Act.